A 2002 graduate of Big Walnut High School who would have come home in August was killed June 13 in a grenade attack along with a northeast Ohio soldier three weeks away from ending his service in Iraq. Army Spec. 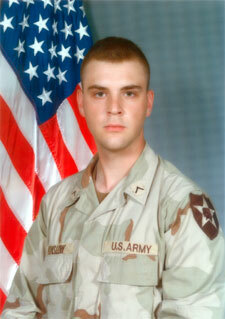 Anthony David Kinslow, 21, of Galena, died June 13, 2005 in Ramadi, Iraq in service to his country. Army Spc. Anthony D. Kinslow, 21, of Genoa Township, and Sgt. Larry R. Kuhns Jr., 24, died when their Humvee came under attack in Ramadi, the volatile town 70 miles west of Baghdad. Both were assigned to the 2nd Battalion, 17th Field Artillery Regiment, 2nd Brigade, 2nd Infantry Division from Fort Carson, Colo., which has lost 65 soldiers in Iraq. He is survived by his mother, Kathleen A. Roddy Kinslow; his father, A. Scott (Julia) Kinslow; sisters and brothers, Emily Kinslow, P.F.C Owen Kinslow, Mary Kinslow, Lucie Kinslow and Peter Kinslow; stepsister Kelli Vanover; grandparents, Patrick and Shirley Roddy, Barbara Hamm, and Richard Kinslow; and numerous aunts, uncles and cousins. A prayer service was held at 4 p.m. Wednesday. A Mass of Christian burial was celebrated at 10 a.m. Thursday at St. John Neumann Catholic Church, in Sunbury, with Father James A. Walter as celebrant. 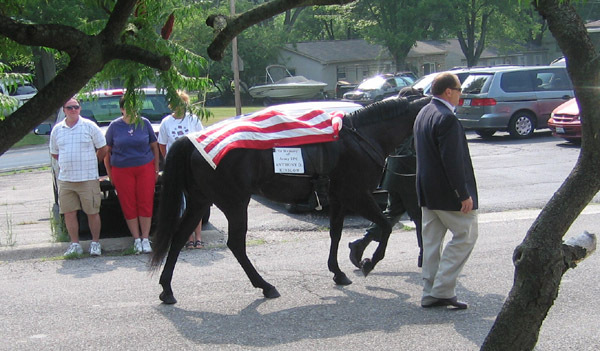 A procession formed at the church and went to Resurrection Cemetery where he was interred.